Codenamed BHL, Hyundai has begun testing a long-wheel-base luxury sedan based on the upcoming and much anticipated rear-wheel-drive Genesis. Sources are referring to this luxury sedan as the i70, but the name is not yet confirmed. It's unclear if the car will be marketed as a distinct model from the Genesis or if it will be sold as a LWB (long-wheel-base) variant. The size of the car is also a bit of a mystery. The Genesis is thought to be the size of a BMW 5-Series or Mercedes E-Class, so it's fair to assume this model will lie somewhere between those dimensions and the BMW 7-Series or Mercedes S-Class. 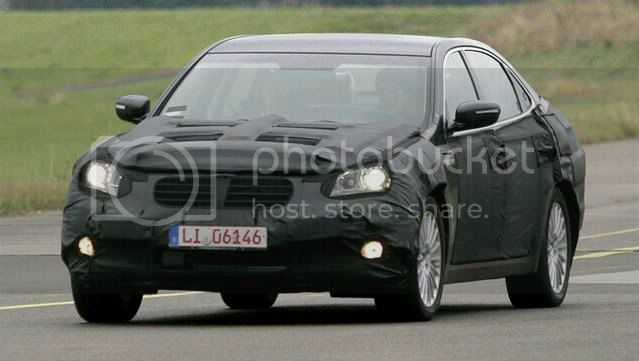 Sources also say it will be offered as a V8 model only and will be even more prestigious than the Genesis. As Hyundai is using Cadillac and Lexus as benchmarks, expect high-tech gizmos as well as many other luxury amenities. The i70/VI should arrive in dealerships about a year after the Genesis but that’s not all: the BH rear-drive platform will also spawn a coupe/cabriolet for the 2010 model year. Although the i70/VI (codenamed BHL) is testing in Germany, its unlikely that the sedan will be marketed on the European market due to the slow-selling Grandeur (Azera in U.S) which sold less than 500 units last year.